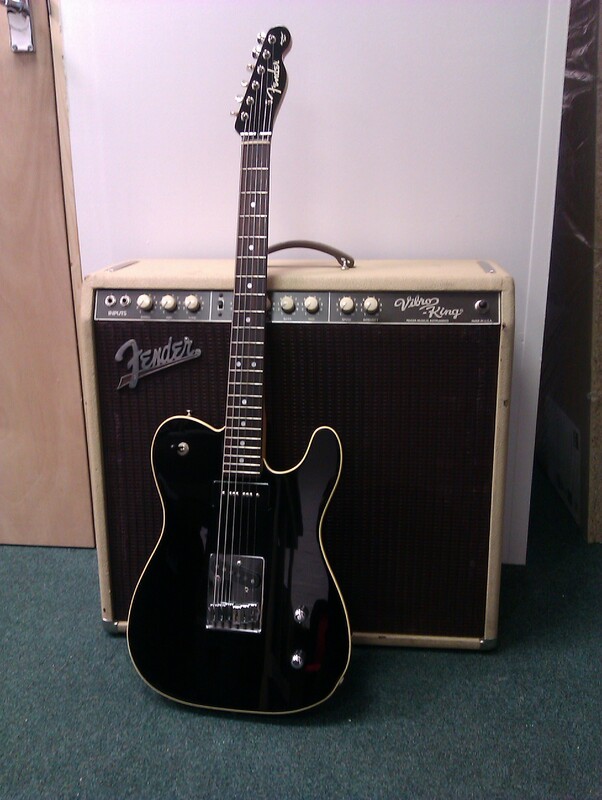 Fender Vibroking & Aerodyne Tele. The Vibroking is a real powerhouse. With its 3 x 10″ speaker complement and 60 very real watts, this is one loud amp. It’s very toneful too. A delight to play. The Aerodyne Tele is also a delight. The combination of a traditional Tele bridge pickup with a P90 in the neck position works extremely well. The guitar is a joy to play, and with its clean “tuxedo” finish, is a delight to behold to boot. — at Essex Amp Repairs Workshop.